Allaah draws us on to all that is kind and good, for that way lies the forgiveness of our sins, and greater real prosperity and satisfaction. No kind or generous act ever ruined any one. As Allaah knows all our motives and cares for all, and has everything in His power, it is obvious which course a wise man will choose. But wisdom is rare, and it is only wisdom that can appreciate true well-being and distinguish it from the false appearance of well-being. The word wisdom in the holy Quran implies the best knowledge seeking to act with fullness and soundness of one’s own conscience. True knowledge is spiritual illumination or divine guidance worked through the grace of Allaah as and when the necessity for it occurs. This being the active result of the constant seeking for it by man from the All Wise and the Almighty. The highest kind of this unique gift is revelation through divine agency which is conferred upon the divinely chosen and the purified ones, i.e. Prophets and Imaams. This divine plan to send the Last Prophet with the most advanced knowledge and wisdom is to convey the final message along with the provision for the continuance of the divine guidance to the last day of the life of the world. Hence the All Wise, Almighty created Ahl-e-Bait-Rasool (AS), the People of the Holy House of Prophet Mohammad (saws), with the purity needed for the purpose of their mission. Allaah says in the Holy Quran that, “Verily We have shown him (man) the way, be he (man) grateful or ungrateful.” It has been left to the independent choice or the responsibility of every individual seeker after truth, to know these divine agencies of true guidance and be guided aright, or to reject them and get astray. The right way has been shown to man for all times. The assertion of the common Muslim that faith (imaan) consists in profession and action without the conviction of intent (niyyat) is impossible; for they are unanimous in believing that if a man were to abstain from food and drink for the whole day till night and yet had not conscientiously resolved to fast, he has not fasted. Similarly, if a man were to stand for prayer, bend (ruku’), and prostrate himself (sajda), and yet no intent to pray, he has not prayed; if a man were to halt at ‘arafat and his conscious purpose was not to perform the pilgrimage, he has not performed the pilgrimage; and if, without the intent to pay the zakaat, a man were to give away the whole of his wealth in charity, he has not fulfilled the obligation to pay it; and they hold the same regarding the obligation acts in general. Thus what Saiyed ul-Ambiya Muhammad Rasoolullaah (saws) said is proved, namely that faith consist of profession (qawl), action (a’amaal), and intent (niyyat). This rule and no other is sound. Saiyed ul-Ambiya Muhammad Rasoolullaah (saws) said, “Verily, actions can be judged only by intentions and every person will be rewarded or punished for what he has intended to do. Faith consists in testifying that there is no God other than Allaah alone; that He is without associate, and Saiyed ul-Ambiya Muhammad Rasoolullaah (saws) is His Servant and His Messenger; that Heaven and Hell and the Resurrection are verities; that The Hour of Judgement will surely come, there is no doubt thereof; in believing faithfully in the prophets of Allaah and in His messengers and Imams; in knowing the Imam of the time and accepting him faithfully, obeying his commands; in acting in accordance with what Allaah has rendered obligatory upon His servants and avoiding what has been prohibited, and obeying the Imam and accepting what comes from him. Ameer ul-Mumineen Maulana ‘Ali bin Abi Taalib (AS) was asked, “O commander of the faithful, what is the least action by which one may be considered as of the faithful (mumin), or a disbeliever (kaafir),or misguided (zaall)?” Maulana Ali (AS) said, “The least by which a man becomes a mumin is that Allaah should grant him true knowledge of his own self so that he may accept obedience to Allaah; and that He should grant him knowledge of His Prophet so that he may obey him; and that He should instruct him concerning His proof (hujjat, the Imam) on His earth and His witness (shaahid) to mankind, so that he may believe in his imaamat and affirm his obedience to him.” He was asked, “What happens if he is ignorant of other things?” He replied, Yes it is all right, but when commanded, he should obey, and when prohibited he should desist. Maulana Ali (AS) continued, “The least thing that will make him an “associator” (mushrik, commonly termed as polytheist) is believing in what Allaah has forbidden, and asserting perversely that Allaah has so ordered it, then proclaiming it as a creed, and alleging that he worships that which he has been commanded to worship, while that is something or someone other than Allaah the Mighty and Glorious. The least that will cause a man to be misguided is not to recognize the Proof (hujjat) of Allaah on His earth and His Witness to mankind, the Imam, so that he could follow the Imam’s example. The incident of Ghadeer-e-Khumm, and the Messenger of Allaah’s position on the occasion with regard to the walaayat of Maulana ‘Ali (AS), is generally recognized and well known, and not to be denied by friend or foe. When Saiyed ul-Ambiya Muhammad Rasoolullaah (saws) returned from the Farewell Pilgrimage and came to Ghadeer-e-Khumm, he gave the order that some large trees with wide branches be trimmed and the ground cleared, and announced a congregational prayer. The people then assembled and Messenger of Allaah Mohammad (saws) took Maulana ‘Ali (AS) by the arm and made him stand next to him, and said, “O you people, know that what Haroon (AS) was to Moosa (AS), ‘Ali (AS) is to me, except that there shall be no prophet after me, and he is your Wali after me. Thus Maulana ‘Ali (AS) is the master (maula, commander) of the one who has acknowledged me as his master.” Then the Messenger of Allaah Saiyed ul-Ambiya Muhammad (saws) raised his arms until the whiteness of his armpits could be seen by the assembled people and said, “O Allaah, be affectionate to him who is devoted to ‘Ali (AS), and hostile to him who is hostile to ‘Ali (AS); give victory to him who helps ‘Ali (AS), and forsake him who forsakes ‘Ali (AS) - and make the truth go with ‘Ali (AS) where ever he goes.” What compact (bay’at, misaaq) then could be more binding than this compact and the walaayat? The pure Imams, the friends of Allaah, are the Proofs through which He established His claim against His creature. They are also the Gates of His mercy which He opened to His servants, and the means to attain salvation (najaat), which He devised for His friends and followers. Without obedience of the Imams, a man’s work are not accepted. Only those who have given credence to their imaamat and have shown their devotion to them, excluding those who have displayed enmity toward them and have disobeyed them, will be recompensed. There are plenty of flowers of wisdom in the garden of sayings of Ameer ul-Mumineen Maulana Maulaana Ali (AS). Describing the facts and truth about the knowledge and wealth, Maulaana Ali (AS) has said some excellent and priceless citations which serve as a true determination and motivation for the mumineen. The perfection of the deen is to acquire knowledge and act accordingly. Acquisition of knowledge is necessary and essential than the acquisition of wealth. Wealth will get distributed among the people whether you are there or not. But knowledge strengthens your every deed and it is the cause of advancement to the Paradise. Wealth decreases on spending but knowledge increases on spending. Spending knowledge is to spread and promulgate it among its seeker. Company of an erudite person is like a religion by which Allaah is prayed. And obeying an educated person multiplies the good deeds and erases evil deeds. Knowledge is a spiritual ascension of a mumin and after his death he is remembered for his knowledge and good deeds. There are many exquisite qualities and admirable ranks for the one who seeks knowledge. The head of the knowledge is modesty, humbleness and diffidence. The eye of the knowledge is abstaining from jealousy. The ear of the knowledge is to understand and comprehend properly. The tongue of knowledge is to speak truth. The fortification of knowledge is scrutiny and investigation. The hand of the knowledge is to help and be kind to others. The strength of knowledge is security and safety. The leg of the knowledge is to meet the scholars. The wisdom of knowledge is abstinence. The result of knowledge is salvation. The soldier of knowledge is well being. The carriage of knowledge is loyalty. The weapon of knowledge is soft speech. The sword of knowledge is to be happy. The shield of knowledge is good conduct and virtuous character. The army of the knowledge is to converse with educated people. The wealth of knowledge is discipline and propriety. The treasure of knowledge is to abstain from sins. The belonging of knowledge is to do good deeds. The argument of the knowledge is guidance. The friend of knowledge is the company of well-mannered and courteous people. First, knowledge protects man from the problems of life and afflictions of the next world. Wealth however is in no way a safeguard. In fact, the possessor of wealth is compelled to spend of his time, resources and energy to preserve this wealth. Second, the possessor of wealth, when he gives out part of his property to others, his wealth is rescued in proportion with this donation. But the possessor of knowledge, however much he imparts his knowledge to others, his knowledge will increase and not diminish. Through his instruction of others, he himself will become more capable and gain more in expertise and ability in his field of knowledge. Third, when property and wealth are destroyed, all that one obtained as a result of wealth will be destroyed too. For example, if one has reached a position wherein his wealth secures for him worthiness and respect among a group or if individuals have befriended him because of his wealth, then as soon as his wealth is destroyed for whatever reason, his position, respect and friends will be lost along with his wealth. However the man of knowledge obtains by virtue of his knowledge will never be destroyed, because this knowledge which has brought him privileges will be retained forever. In Islam neither wealth nor poverty are standards of superiority. This means that a Muslim, who has true faith in Allaah's commands, does not maintain more respect for the rich and less for the poor or vice versa. Because Allaah has said that man's value rests upon piety, therefore the more pious a man, the more respect he deserves. Unfortunately, however. There are individuals for whom this Islamic behavior has little meaning. Such persons, if they are wealthy, behave proudly because of their riches. They do not heed the poor and often times are not willing to associate with those less fortunate than themselves. On the other hand one who is less fortunate and uses flattery and bows down before the rich, indeed loses his self-respect. But more worthily an act is that a poor man does not bow down before the rich, but rather shows pride ad heedlessness. One who first relies upon Allaah derives his needs from Him. Such a person in no way needs to kowtow to the rich or try to draw their affections in the hope that they fulfill his requirements. A man who trusts in Allaah derives all his requirements from Him alone. Thus this man does not need to degrade himself in the eyes of the rich. And distributed some of the human qualities accordingly. And one at other places. And one in other books. And one in common man. And one in other places. The Words of Wisdom of the Master of Walis, the Sun of Bravery and the Moon of Austerity, Maulaana Ali (as), the Commander of the Faithful, for maintaining a better health of mumineen and following certain habits that are beneficial in a long run, are such wise and prudent that if followed appropriately then the up and down of one’s health would be considerably reduced. If the believers adopt or implement the small and big measures expressed by our Maulaa Ali, then there would not be any need to see the doctor. Do not eat unless you are hungry: Those who have a habit of eating anything on any time thoughtlessly keep on churning, then their health is in danger. Whether hungry or not, but keep on eating just like animals do, will lead to poor health. Eat as long as your appetite allows you to eat: Eat in small amounts, but do not leave the plate with uneaten or unattended food. It is obligatory on the person eating that when he eats his eyes are focused on the food, pays attention and knows very well the food he is eating. So, do not do anything while eating. Eat as long your appetite allows you to eat. Do not force yourself to eat. Eating in a sordid environment causes indigestion. Eat less, so that the stomach remains somewhat empty, and eat with proper chewing: Most people have a bad habit of eating in haste. Within minutes they finish up their meals. Such a practice is harmful to the health. Believers are advised to take up small morsels and chew the food properly, which causes less strain on the stomach and the food is easily digested. Petite food, but eaten serenely, silently and slowly is beneficial. Health depends on the way you consume your food. Eat by sitting on the floor. When you want to sleep, ensure that you are at a calm place: Do not sleep at a place where people are talking, or working, or doing something so that its sound disturbs you and distracts your sleep. Go to sleep in a secluded place, away from any noise or movements, and in a quiet place. By doing this you will feel a mental contentment, you will feel free and will connect yourself with sleep and would fall asleep easily. One man came to Imaam Ja’far us-Saadiq (as) saying, May my father and mother be ransom to you and may I sacrifice myself on you by thousand lives, Please advise me so that my life becomes easy, trouble free, full of satisfaction and contentment, and when I am on the death bed, none of my longings would have remained unfulfilled. Imaam Ja’far us-Saadiq (as) replied him, O my Dear! May Allaah bless you with the sound understanding, and may your questioning lead you to climb the ladder of success and may our teachings make your days and nights become resplendent. You should regard our saying as amulets, because its worthy of keeping them besides your heart and its value is greater than worldly treasures, and if you act accordingly then you are sure to get the mercy of Allaah Ta’aala. O Brother, remember our saying, that whatever you do, think, expect from others, expect good results after doing something, you should think over all these and ask yourself this question, “WHY?”, so you would realize that many things that you do are unnecessary, and you would be drawn to the essential things that should have been done more effectively, religiously and dedicatedly without wasting your time of this precious life. 1) When your sustainer, Allaah Ta’aala, has guaranteed that He will look after you, He will take care of you, then “WHY” this pillage, brawl and stealing? 2) Your fortunes have been allocated to you, and as has been determined, you are destined to get it, then “WHY” this greed, avidity and gluttony? 3) You will have to account for your actions and wealth, then “WHY” accumulate the worldly wealth? 4) You know very well that you would be rewarded for you good deeds, then “WHY” to be lethargic in doing and executing them? 5) When Allaah Ta’aala has made arrangements to nourish and bring up your family, then “WHY” are you reluctant in spending your earnings on them? 6) Whenever someone does debauchery, he is punished, and hell is his last place of punishment, then “WHY” are you inclined towards it? 7) Death is certain, everything in this world has to vanish, the angel of death would come any time with the message of destruction, extinction and elimination, then “WHY” such happiness on gaining the worldly assets and position more or less? 8) If, to honour someone is from Allaah Ta’aala, then “WHY” to cajole and flatter someone to get something out from him and expect his undue favour? 9) The devil is always there to entice you, then “WHY” to remain careless from his trickery? 10) The worldly pleasures and estates never remain with any one for ever, then “WHY” to neglectfully put trust on them and mindlessly run after them? 11) You know very well that Allaah Ta’aala knows everything that has gone in the past, what is being done and what is going to happen in future, and destiny of every thing rests with Him, then “WHY” to become inconsolable and regretful for a work or a wish that in not accomplished? During the battle of Badr, Allaah Ta’aala sent an army of thousand angels to help the Muslims who were battling against idolaters-Kuffaar and it was getting fierce minute after minute. Allaah Ta’aala assured Rasoolullaah (saws) that if the strength of Kuffaar increases, then We are ready to send for your help not only 3,000 but 5,000 angels, so that, O Rasoolullah (saws)! You and your companions could emerge victorious and may your hearts get filled with faith and peace. In the midst of the battle, Rasoolullaah (saws) told ‘Abdullaah bin ‘Abbaas (as) that, he could spot Jibra’eel (as) standing with his horse by holding its halter in his hands. During the war, an Ansaari attacked a Mushrik, but before he can thrash him with his sword, someone attacked on him fiercely and a voice was being heard from the ghayb-unseen saying that, “ O Hayzoom, Go ahead!” and after this lightning attack, Ansaari to his surprise saw the Mushrik lying there dead with his clothes shredded, his mouth was cut and torn apart and his body being full of wounds and blood. Rasoolullah (saws) was asked, How did that happen? And he replied that, He was Jibra’eel (as) riding on his horse, who was attacking the enemies along with Muslims. The Kuniyat of Maulaana ‘Ali’s father Maulaana ’Imraan (as) was Abu Taalib and he was also called as Abu Haazim too. It was being derived from the Horse of Maulaana Jibra’eel (as) named “Hayzoom.” Sa’ad bin Waqas says that, he was present at the battle of Badr and what he saw there he might have never seen it throughout his life. He further describes it by saying that, when I was there in the battle-ground I saw two men wearing white clothes and with shining faces and this got so deeply inscribed in my mind that I forgot where I was and what am I doing there. When I asked Rasoolullaah (saws) about this then he revealed to me that, they were Maulaana Jibra’eel (as) and Maulaana Mika’eel (as) who were lending helping hand to Mujaahideen to pave the way for victory. So, our ‘Aqeedah of taking Waseelah by the name of Imam uz Zamaan (as) and the yaqeen-belief of Nazr ul Maqaam gets strongly proven from this short excerpt. There are thousands of angels-farishtas present always in the khidmat-service of Imam uz Zamaan (as), the progeny of Aal e Mohammad (sa). If any Mu’min calls his Imaam with pure heart and deep trust, he always receives heavenly help and unseen support from him. Likewise the auspiciousness of Nazr ul Maqaam helps in making our troubles vanish and we could find reasonable solution to each and every problem, be it serious or small, seen or unpredictable. One of the disciples of Imaam Ja’far us-Saadiq (as) put forward a question to him, ‘O our Maulaa, O Imaam-e-Haqq (truthful Imaam), has Allaah Ta’aala compelled His followers to do His disobedience? Allaah Ta’aala is very just and righteous that He ever compels his followers to do His disobedience and then curses and punishes them for the same? Is this a favour from Allaah? Imaam (as) replied that, "Disobedience is neither a compulsion nor a favour from Allaah. Whoever does good deeds in his life and obeys Allaah and surrenders himself to us is safe and guarded. Whoever does evil and disobeys Allaah and does enmity with us is cursed and punished." Allaah has given intellect to the human which is not there in any of His Creations-تخلیقات . It is through this intellect that a human decides what is correct and incorrect for him. There is Shari’at (شریعۃ) laid down by Allaah for him which consists of rules and regulations which everyone of us has to follow. In spite of intellect and Shari’at if one still disobeys the words of Allaah then he deserves curse and punishment. Allaah has sent His Nabi, Wasi and Imaam (as) to make people understand the true meaning of Shari’at and they are the one who guides the people to righteous path. Hence only Intellect or only Shari’at does not suffice but a right combination and use of Intellect in understanding the Shari’at of Allaah from the Nabi, Wasi, Imaam or Da’i makes one successful in this Life and the Hereafter (آخرۃ) . The world was privileged by the presence of Prophet Muhammad SAWS for a particular noble purpose of moulding the religion of Islam to perfection that created a sense of wisdom and simple understanding among the people who were ignorant and pagan Arabs, by commencing the arrangements of secret gatherings and special sessions in the holy city of Mecca. It was due to the impeccable governance and the glory of the small gatherings that news travelled fast and people residing far away, were attracted like scattered pieces of iron towards a potent magnet, that is Mecca, the cradle of Islam. From the Arab countries, to Iran and its ancient kingdoms recognized as Persia; from the domain of Russia to the Lazio region in Italy of Southern Europe; from the land of Egypt resting along the fertile river Nile or even from the localities of India; people used to come from every dimension and every side of the world, with the intention of learning and getting the enlightenment of the teachings of Prophet Muhammad SAWS. They thought Prophet Muhammad SAWS as the only saviour from the clutches of imaginary religion based on unjustifiable customs and forged practices. Historic accounts regarding Prophet Muhammad’s SAWS propagation of Islamic principles revealed that there were many strong believers in the initial stage in Mecca and only five of them extremely knowledgeable yet simple men were capable of wearing the crown jewel of Imaan. 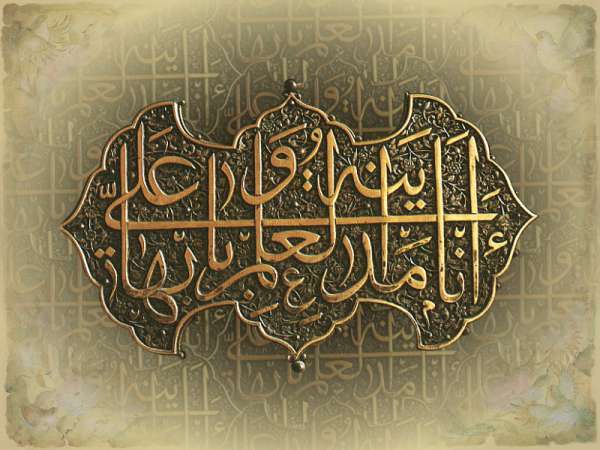 1) Maulaana ‘Ali Amir ul Mumineen (as), who was the first and foremost in believing in Prophet Muhammad’s SAWS divine call and accepted Islam on his hands, meaning the most prominent carrier of Imaan, amongst the Arab community. 2) Maulaana Salamaan ul Faarsi (ra), who was the eminent; among the Iranian people, was the sole expeditor of Imaan and very well aware of the loopholes of other faiths. 3) Maulaana Sohaib (ra), who showed patience among the Romanians and walked on the path of Imaan and surpassed them all. 4) Maulaana Bilaal (ra), who was the first among the people to come to Arabia and accept Islam from the provinces of al-Habsha al-Afriqiyah, with hopes of getting their dignity and respect back. 5) Maulaana ‘Ammaar (ra), who among the dwellers of Egypt and its neighbouring areas, was the first to accept the essence of Imaan and elegantly followed it. Allaah Ta'aala states in His holy book, Qur'an, "As-Saabequnas Saabequn, Ola’ekal Muqarrabun.”, meaning the first will continue to be the first; he is immediate to the blessings and benefits of Allaah Ta'aala. Their attained position and ranking is irreplaceable. Their spiritual struggle against sins caused due to their good deeds and choosing the correct path, makes them exceptionally good, dignified, honourable and magnificent. In the Noble Divine Book “The Qur’an”, Allaah Ta’aala explains as to how people can adorn and improve their living by following the basic guidelines set by the Deen of Allaah, Allaah Ta’aala has provided lessons and scriptures through Ambiyaa and Awliyaa for making our present-living filled with simplicity, discipline and patience at the fullest. These Ambiyaa are friends and companions of the Deen of Allaah and their Habits and Character is such that people can definitely follow their examples and walk on their footsteps making them their role-model. Any person can adopt their Knowledge, Companionship, Practicality, Experience, and Inherent noble qualities and form his character based on his personal, financial, educational or social status with the best of his intentions and goals. Never compare or measure your living with another person. An individual life’s journey begins at a different place at a different time and that too it started in a different environment. Similarly every person’s personality has been developed at different stages and phases. Do not try to deliberately change things which are not in your control. Let things happen on its own space or pace because you do not have the strength to stop it from happening. So it is always better to do things that are in your full control ensuring fair enough consequences or results. Set a limit to everything you do because anything that is done excessively or untimely is a waste of energy or time and can spoil your work. Every ground has its own boundary or say fencing. So it is important to set a limit in any activity or venture. Do not worry much if you are not successful in any of your work. It is not the end of the world. Opportunities keep coming. There are always other people capable of completing your incomplete task. Do not waste your precious; valuable time on irrelevant talks like this is mine and yours. Gossips and backbites are deemed as the saliva of Shaitaan. To see dreams is not bad at all. See sensible dreams with eyes open and healthy thoughts so that you work and pull the dream towards yourself to fulfil and make it a reality. The weakest and worst habit of a person is to envy another person. Be contented with what you have or what you own. What you have today was someone else yesterday and it will be not yours tomorrow. Whatever we have or possess is the most precious. Anything we need more or less somehow we always get to envy or feel jealous about others. Clipping the desires and only have a needful of wish is an habit of an intelligent person. Forget the painful past. Past mistakes always make you and your surrounding sad. Try to forget sorrowful past as it will spoil your present happiness. But definitely remember not to repeat the past mistakes over and again. If you have a brilliant past then cherish it and try to improve your present with your past memorable practices. Allaah Ta’aala has provided us with a precise life to live. We are as guests in this world and are here for a short period of time. We have less time helping and loving people so how can we even think of playing games and taking revenge. Try to keep Peace with your past life and remember the beautiful moments you have lived so as to do Justice with your present life wholeheartedly. Happiness is not something readymade. You have full control over your temptation and feeling of either to be sad or to be happy. Surely understand that life is like a school and you have come to learn something. Pain-problems are like companions and inseparable part of lives. Pain is not all the time pain. To lessen the pain we have to give the exam by solving the problems and pass successfully. There are standards in school similarly in everyday life we face new-new problems. We have to develop skill or ability to solve these everyday problems and move ahead in life. Everybody knows how to celebrate when happy but to express happiness when you are sad has to be inbuilt. To smile when in pain is an Art. One cannot win all hearts so defeat yourself and let others win you.